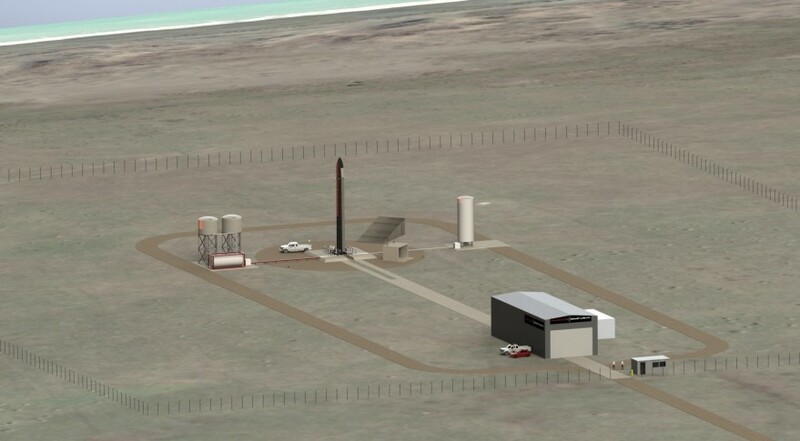 Illustration of Rocket Lab's planned launch site at Kaitorete Spit on the South Island of New Zealand. Credit: Rocket Lab Ltd.
WASHINGTON — Rocket Lab Ltd., a U.S.-New Zealand company developing a small launch vehicle, announced July 1 it will carry out initial launches of that rocket from a new site on the east coast of New Zealand. The company said it will build a launch site for its Electron rocket on Kaitorete Spit, a narrow strip of land between a lake and the Pacific Ocean on New Zealand’s South Island, south of the city of Christchurch. The company expects the site to be ready by the fourth quarter of this year. Rocket Lab Chief Executive Peter Beck said in a June 30 interview that the company wanted its own launch site, rather than leasing a facility at an existing spaceport, to avoid potential conflicts with other companies. 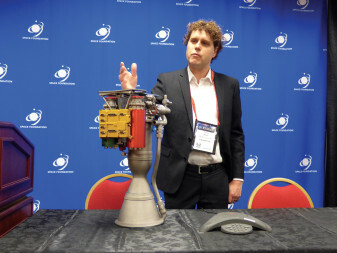 “What we needed was a launch site that would support the launch frequency we aimed to achieve,” he said, which ultimately could be as often as once a week. Beck said Rocket Lab is working closely with local and national authorities, and does not expect any environmental or other issues with the launch site. No people live in the area itself, although Christchurch, a city of nearly 350,000 people, is about a 45-minute drive away. “It really is an ideal site,” he said. Rocket Lab cannot do launches due east from Kaitorete Spit because the vehicles would overfly a nearby peninsula, but can launch to orbital inclinations ranging from 45 degrees to sun synchronous by flying to the south. Beck said the inability to launch due east not an issue for most of its customers, who are primarily interested in sun synchronous orbit. Headquartered in Los Angeles but with most of its engineering staff in New Zealand, Rocket Lab plans to obtain commercial launch licenses from the U.S. Federal Aviation Administration for launches from New Zealand. Beck said the FAA is working closely with New Zealand’s Civil Aviation Authority, to provide oversight of launches there. Beck said Rocket Lab eventually plans to place a rocket manufacturing plant in Christchurch, taking advantage of its proximity to the launch site. “One of the key reasons that we chose this area is the fact that we could place the rocket production facility near the site,” he said. The company would retain its current office in Auckland, New Zealand, for use as a research and development facility. The Electron rocket is designed to launch satellites weighing up to 100 kilograms into orbit for $4.9 million per launch. 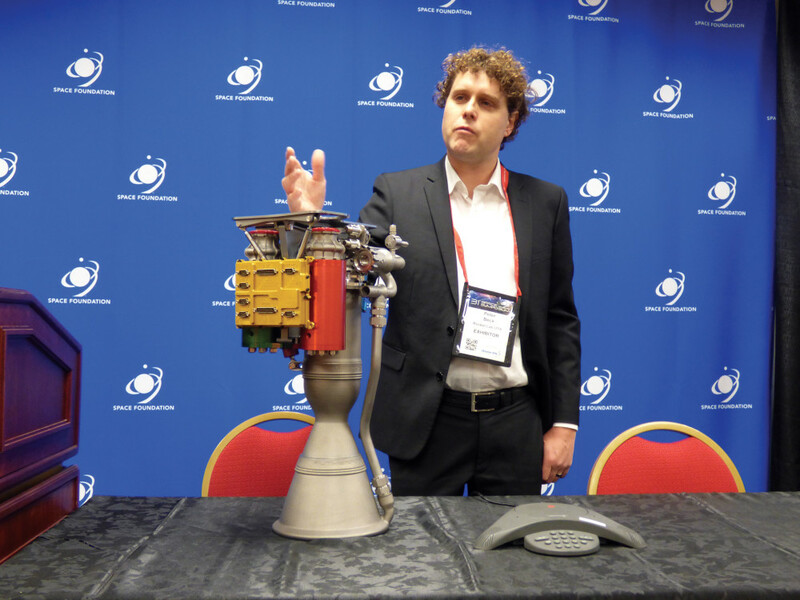 “There’s a tremendous amount of testing occurring on the vehicle now,” Beck said, with some of the first articles of flight hardware currently in production. The first test launch, from Kaitorete Spit, is scheduled for late this year, he said.